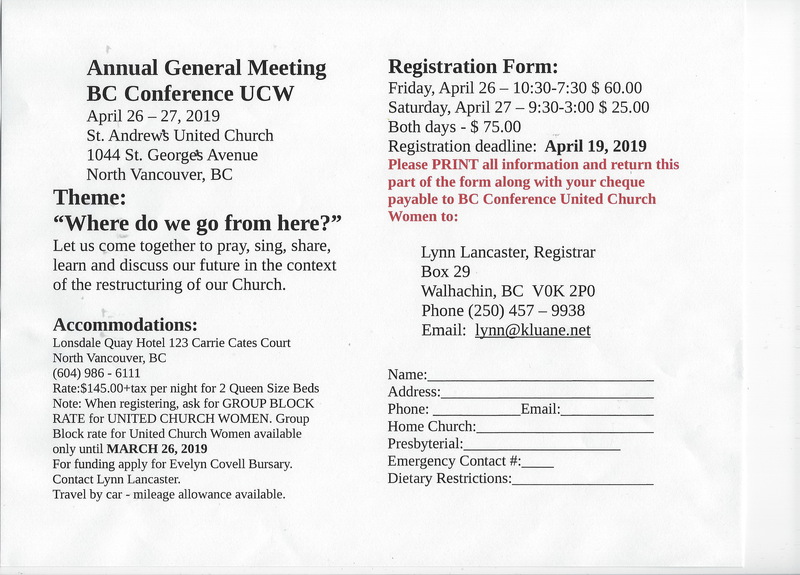 Come to the UCW 2019 AGM to help build our future. Friday April 26, Saturday April 27th. 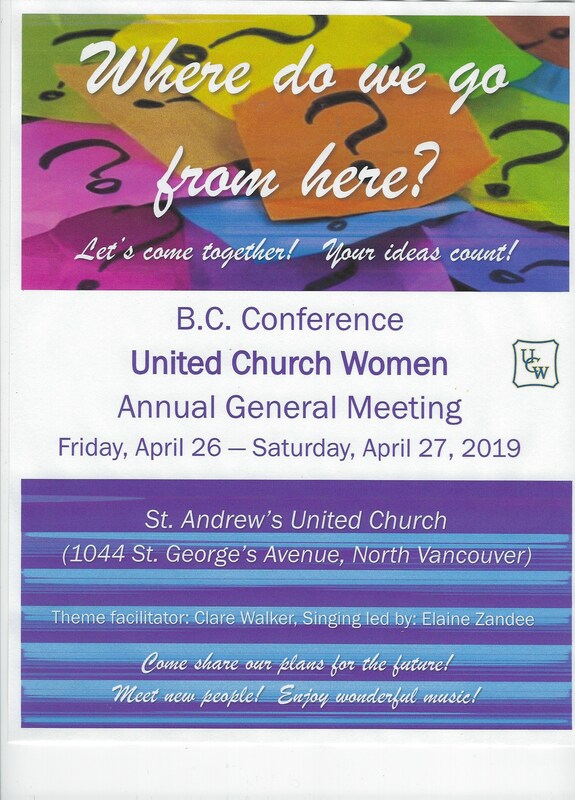 St Andrew’s United Church, 1044 St. George’s Ave., North Vancouver. Click here for Registration. Deadline April 19. Please print and mail to address on form, include cheque.